CoalTreat® is EES’ fuel chemistry innovation that has proven to be highly effective in mitigating problems attributed to furnace slagging and heat transfer surface fouling in coal-fired utility and industrial boilers. CoalTreat® is applied to the fuel pre-combustion, customized to each plant’s fuels and specific objectives, and has been successfully deployed on several large fleet coal-fired units around the world for many years. Furnace slagging and heat transfer fouling are common problems encountered by power plants using bituminous coals (ILB, NAPP, etc.) with high iron and sulfur content and high levels of sodium and potassium (alkalis). Molten alkalis promote ash buildup in upper furnace sections, and molten iron form large deposits in the burner area. For subbituminous coals such as PRB, high levels of silica, alumina and calcium promote the formation of black glass deposits which reduce heat transfer in the upper furnace. These slagging and fouling issues are more pronounced as more low rank, high sulfur, and higher ash coals with lower heating values become opportunity fuels. CoalTreat® customized fuel chemistry effectively mitigates these issues. Applied “on-belt” as a pre-combustion fuel additive, CoalTreat reagents react during combustion through chemical and physical mechanisms to alter ash chemistry and eliminate deposits. CoalTreat On Demand is an innovative portable delivery system for our proven anti-slagging additives. The system provides on demand CoalTreat delivery to eliminate slag issues during high risk operating periods. The modular design provides rapid deployment of single or multiple units depending on coal types. 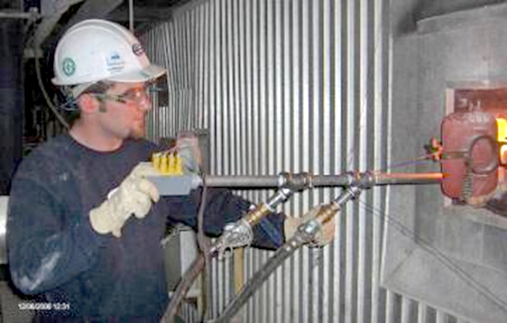 CoalTreat may be deployed when internal boiler slagging, fouling, corrosion, and undesirable emissions are a problem. The On Demand system provides delivery of single or multiple CoalTreat additives in a fully PLC controlled ISO Tank Container system with pumps, tank agitation, insulation and heat tracing as depicted in the drawing below. 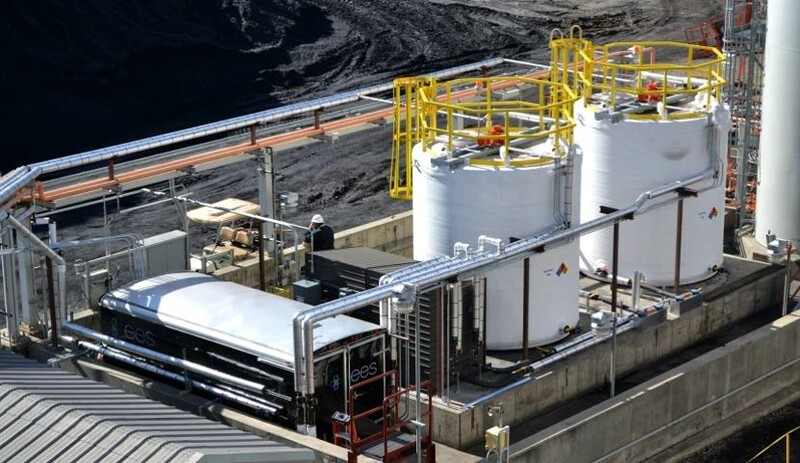 The new modular design is just part of our investment in innovative CoalTreat technologies for coal-fired facilities that desire better performance with the option for on-demand treatment.